The Funky Felter: Games & Prizes! 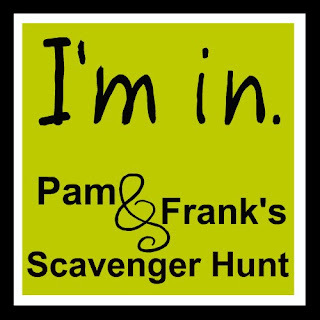 A Super Fun Scavenger Hunt! Games & Prizes! A Super Fun Scavenger Hunt! Food - Games - Prizes - All week long! P.S. For those of you who might be wondering, all is well with the pregnancy. I had some regular and progressive contractions at the end of last week and went into the hospital for a labor check. After being monitored for a while and examined, they sent me home to rest and wait. Things are progressing slowly but very well so far, and I really believe (and really hope!) that it will be any day now when our little one arrives. I have another checkup tomorrow to see how things are going and am just taking it one day at a time. I apologize to my readers for being absent from blog posting and felting lately though - as I miss both of them terribly, but the baby comes first and, for now, that means playing the waiting game and taking it easy until the baby arrives. Most days I feel like I'm going to pop! Right now my top priority is dealing with the constant uncomfortableness and pains of late pregnancy while looking forward to holding my little one soon. I hope you have a great week and, as always, happy felting! I think your soon-to-be-big-news is even more exciting! !